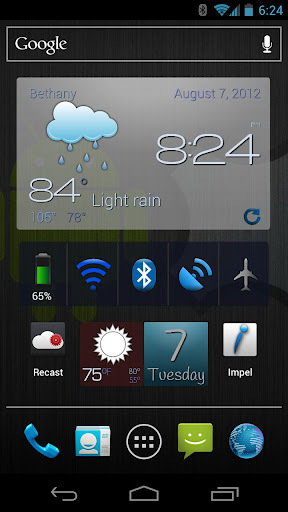 Recast Weather and Widgets (Android) ~ Android Forever! 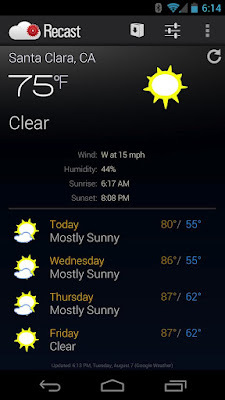 Why another Android weather app? Because this one has the ICS look no matter what version of Android you have on your device, and because it's amazingly customizable. Definitely worth the small cost! 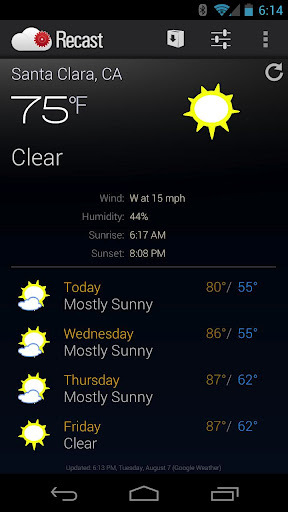 Developer Quote: "Recast is weather and widgets done your way." - Independently optimized widgets and layouts for phones, tablets, TVs, phablets, Galaxy Note and Nexus 7 devices. You can also check out a beta version for free to try before you buy.